It was a night to look back and look ahead at the same time. 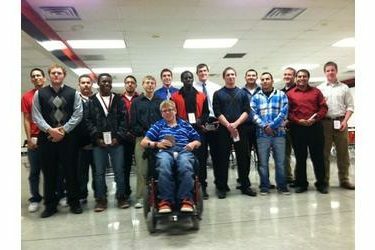 Liberal High School hosted their football awards banquet Tuesday night in the LHS cafeteria. Al Shank gave a motivational speech to the players, parents, and coaches. Head coach Cliff Abbott awarded his players with letters, thanked his seniors, and reminded next year’s team they are about eight months away from the August 31 opener against Ulysses so the work must be going on now. Michael Sena and Zach Stout were again recognized for being named first team all WAC. Here were last night’s award winners as voted by the Redskin players.